The recent podcast episode ‘Debatable‘ from WNYC’s Radiolab got me thinking about formal debating and its relationship to the sort of collaborative enquiry we foster at The Philosophy Club. The podcast featured a story about a national contest among US college students who were taking part in policy debate, a particular style of competitive debating in which opposing teams clash over domestic or foreign policy propositions. Listening to the story, it struck me that philosophical enquiry and debating share many of the same objectives, and yet their respective means to these shared ends could not be more different. Aside from obvious differences in subject matter, philosophical enquiry and policy debate have much in common. Both purport to develop critical and creative thinking, communication, and problem-solving skills – skills that empower students to participate actively as citizens of an open society. “Debate enables students to present their views effectively and respond to the arguments of those who disagree with them … debate teaches students to command attention with words [and] provides students with [a non-violent] outlet for day-to-day conflict,” writes Beth Breger, taking words in support of philosophical enquiry right out of my mouth. Similarly, Alfred Snider – in his piece Debate as a method for improving critical thinking and creativity – describes debate as critical advocacy in which “the debater must advocate, propose, and defend ideas…and use the tools of critical thinking to evaluate the ideas of others,” again reflecting my ideal of a competent philosophical enquirer. Snider goes on to enumerate the ways in which debating cultivates qualities of good citizenship: learning and thinking about issues, expressing ideas effectively, listening with understanding, acknowledging the arguments of those who disagree, responding to conflicting ideas, and coming to independent judgements. My colleagues in the Philosophy for Children sphere will recognise each of these activities as foundational to students’ philosophical practice, and I’m sure that at one time or another we’ve all made similar claims about developing students’ civic virtue. So much for the commonalities. Spend a minute contrasting policy debate with philosophical enquiry, and the differences should be self-evident. While the stylistic differences are obvious, another important difference is invisible. Across the world, policy debate has attracted colossal funding – including multiple millions of dollars from magnate and philanthropist George Soros, while philosophy education – and collaborative philosophical enquiry in particular – languishes in a chronically underfunded state. This is more than disappointing: it’s egregious, especially because collaborative philosophical enquiry delivers more fully on the shared promise to promote active citizenship. Here are six reasons to believe that, as an educational approach to meeting this goal, policy debate is less effective than philosophical enquiry. In her advice concerning “things adjudicators really hate”, World Universities Debating Champion Cathy Rossouw warns young debaters not to talk to members of the other team. “It’s no use directing your rebuttal at your opposition,” she writes, “because it is their job not to be convinced. You should always be talking to the audience and be trying to convince them.” In many cases, the audience is narrowly taken to be the debate adjudicator. “We’re not debating for stenographers, the general public, or anyone except the person…with the ballot [i.e. the adjudicator’s evaluation form],” one debater explains. Democracy is all about public deliberation, and its most basic prerequisite is that citizens actually talk to one another. If instead of having a conversation we deliver a performance, as debaters are called on to do, we won’t meaningfully engage with each other about our common problems, and we won’t be able to make collective, or even consultative, decisions. Happily, philosophical enquiry does promote meaningful engagement, beginning with individuals addressing each other directly as they go about their joint deliberations. Adapted, with apologies, from a cartoon by P.S. Mueller. One of the few fixed rules of debating is that one team must take the affirmative stance and the other the negative. This dichotomous framing of every debate topic tends to oversimplify issues which, due to their high complexity, deserve far more nuanced handling.1 Since most issues worthy of discussion are multi-faceted, a two-sided debate neglects important alternative perspectives – including more moderate positions that bridge the apparent chasm between the affirmative and the negative, or that hold them in balance by qualifying each appropriately. If we want to foster good citizenship, then rather than pitting two opposing and perhaps extreme views against each other (as formal debate requires), we would do better to engage students in more subtle consideration of the many perspectives that may be adopted, and the relative merits of each. This is precisely what philosophical enquiry encourages with respect to controversial issues. In formal debate, the requirement to defend an assigned stance makes honesty impossible – or rather, possible only by accident when the assigned position happens to coincide with the debater’s own considered beliefs. What’s more, the structure of formal debate precludes the possibility of speakers expressing deliberate hesitation, much less a genuine change of mind. Prizing persuasive power over sincerity makes a pulpit of the lectern and a sophist of the debater. In philosophical enquiry, by contrast, participants are expected to express their views frankly, to be honest about their uncertainties, and to change their minds (and admit it!) when they find reason to do so. The goal of winning is embedded in the very notion of a debate. According to one Debate League founding director, Les Lynn, the obsessive focus on competitive success is the key failing of intercollegiate debate programs. The more that winning matters – the more gladiatorial the combat – the more likely it is that attitudes of belligerence and scorn will prevail. Entering a debate with a focus on winning suggests that participants’ minds are already made up. Instead of listening with genuine openness to contrary views, debaters are encouraged to go out guns blazing, their tightly-coiled rebuttals ready to spring at the hint of opposition. But truth and graciousness often suffer in the pursuit of victory. In philosophical enquiry, there’s no sense in which a participant can ‘win’. Participants aim instead for things like uncovering truths, acquiring a deeper understanding of complex issues, making more reasonable judgements and developing more coherent belief systems. Not being limited by an offence-defence dynamic, philosophical enquirers see conceding a point as equally legitimate – and equally important – as making a point. What’s more, philosophical enquiry promotes genuine questioning and negotiation in a spirit of respectful collaboration. These activities make the practice of philosophical enquiry not merely friendlier than debating, but better at encompassing a broader range of views. We know that democracy can’t be reduced to trench warfare, and that civic engagement isn’t about point-scoring or tearing down opponents. As a non-adversarial approach to argumentation, philosophical enquiry enables participants to work together to advance a common good, and fosters “responsible citizen-speakers… [who] examine their own motives, and…do not slant the truth just to ‘win’ an argument.” For all these reasons, philosophical enquiry surpasses formal debate as a platform for the democratic exchange of ideas. Since debating resembles a ‘hard sell’, participants have to wrestle with questions of how far they’re willing to go to close the deal. For example, will they resort to spin? What about demagoguery? Are appeals to fear beyond the pale? (Not according to Clint Ehrlich’s critique of policy debate: it is dominated by apocalyptic scenarios, justified by absurd claims that improbable chains of events will culminate in world destruction. Ehrlich offers, by way of example, the argument “that reforming prisons will undermine Obama’s political capital and thereby trigger global thermonuclear war”.) In any case, debate certainly permits the appeal to emotions; after all, pathos is one of the classic modes of rhetorical persuasion. If we look at debate as a sales activity in the metaphorical marketplace of ideas, the debater could be characterised as a hustling vendor spruiking readymade conclusions, while the philosophical enquirer is a thrifty shopper, sizing up all the ideas on offer before deciding whether to buy any. In fact, I see the activity of philosophy as an exploratory quest regulated by a balance of two attitudes: open-mindedness (which initially broadens the search for evidence and arguments) and scepticism (which strategically narrows the available options of what to believe). In the end, there’s a purer focus on finding well-supported logical arguments in philosophical enquiry than there is in debate, and I think this makes philosophical enquiry the better educational approach for developing good citizens. 6) Debates are exclusive. Philosophy is inclusive. Everything about debate was speed. speed. speed. I would do nearly anything to get faster… Speed was Everything. The more the better. I…tried to keep up the pace for as long as I could. For the six reasons I’ve outlined here, funding philosophical enquiry rather than policy debate would have been a better investment decision on the part of a philanthropist wishing to promote civic participation. Sometimes even the most astute investors back the wrong horse. Successful debaters require deep understanding of a range of positions, command of nuance, and an intuitive sense of connections between ideas. They are rewarded for taking opposing arguments at their strongest, not their weakest… Anticipating and engaging with a multiplicity of views are required. Speakers who reduce issues to two simple sides or just parrot lists of pros and cons will not excel. 2 Even if we were to contrast philosophical enquiry only with debating styles (such as Worlds Style) in which debaters speak at ordinary speeds, my arguments in points (1) to (5) ought to leave little doubt that philosophical enquiry far surpasses debating as a mode of enhancing civic understanding and developing constructive solutions to controversial problems. 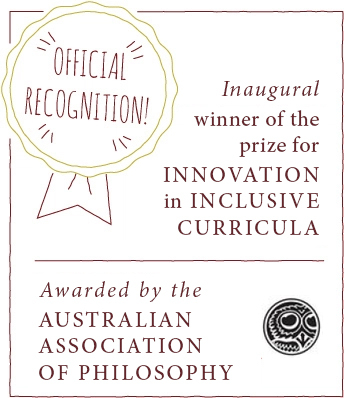 The Philosophy Club runs co-curricular and extra-curricular workshops for children, professional development for teachers, and training for facilitators in the art of collaborative philosophical enquiry. I think your question at the conclusion of your post subtly but powerful demonstrates the value of philosophical inquiry over debate. Debating, as I see it, requires that no one listen to learn, only to refute, to make their own position stronger. Philosophical discussion requires listening to learn and understand. There should definitely be more of it in schools and in community arenas. Thanks, Norah. Your comment reminds me of Francis Bacon’s exhortation: “Read not to contradict and confute; nor to believe and take for granted… but to weigh and consider.” I think this applies just as well to discussing as to reading. Rather than immediately spitting or swallowing, we need to chew things over. Very true, Michelle. A nice reminder. Thanks.